Canada is a very unique country. It is vast — the second largest country in size in the world. Yet it is very sparsely populated. Its cities range from large, cosmopolitan cities like Toronto in Ontario to small outposts such as Whitehorse, the capital of the Yukon Territory. 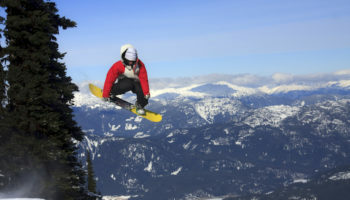 Many of the best cities to visit in Canada are gateways to magnificent wilderness areas and exciting recreational facilities, including some of the best ski resorts in the world. This small city is the capital of the Yukon. It is also its only city. Situated on the banks of the Yukon River, Whitehorse is a great jumping-off point for those who want to explore Canada’s vast wilderness, especially since the two main highways in the territory — the Alaska and the Klondike — intersect in this small city. While in Whitehorse, make sure to check out the Yukon Wildlife Preserve, where you can see some of the many creatures that are native to the area, including caribou and Dall’s sheep. Regina, which is the capital of Saskatchewan, prides itself on its dedication to the fine arts. It is home to the Mackenzie Art Gallery, which has a collection of more than 4,000 pieces of art, and also to the Regina Symphony Orchestra, the oldest continuously performing orchestra in the country. Regina also plays hosts to numerous festivals and events throughout the year, including its Queen City Pride. Regina also boasts a natural history museum and a science museum. 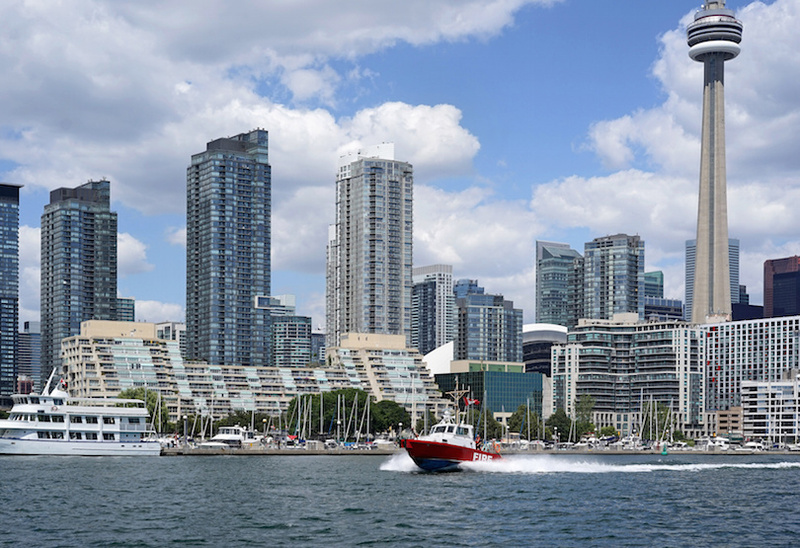 If you enjoy visiting exciting and vibrant cities, you’ll love Toronto, which is also Canada’s largest city and the capital of Ontario. It is also a very cosmopolitan one, where more than 140 languages are spoken. It is, in fact, the most multi-culturally diverse city on the planet. Currently, Toronto is undergoing an urban revitalization, so you’re likely to find many new and stylish neighborhoods rising out of former industrial areas. 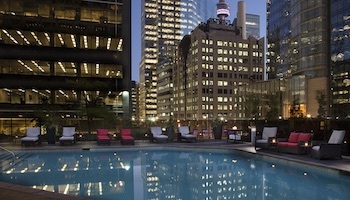 Plus, you’ll never be bored in Toronto as it attracts numerous big events, including the well-known Toronto International Film Festival. While in Toronto, make sure to check out one of Canada’s most iconic landmarks, the CN Tower, currently the 3rd tallest tower in the world. 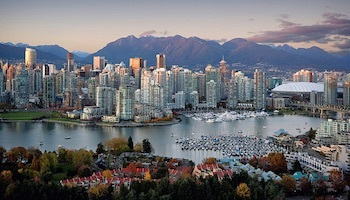 The capital of British Columbia is one of Canada’s most picturesque cities, with mountain or ocean vistas visible throughout many of its neighborhoods. Located on Vancouver Island, it is also a city that still boasts a wild side — elephant seals and whales can be found in the waters surrounding the city. 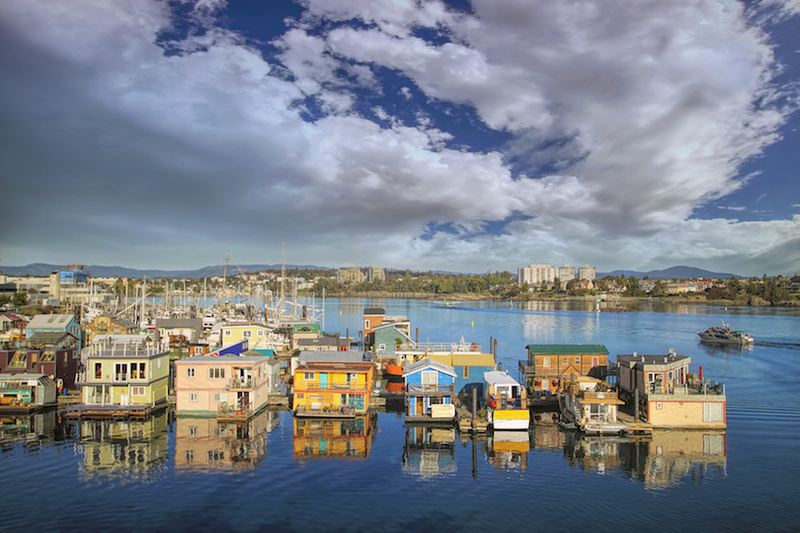 While in Victoria, make sure to check out its scenic Inner Harbour. Here, you will find numerous places to eat, and it is also a wonderful place to enjoy a cup of afternoon tea, a throwback to Victoria’s British heritage. Also adding to the city’s very British feel are double-decker buses and many horse-drawn carriages. 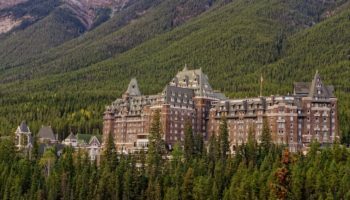 Located in Alberta, this city is famous for its western flavor and, most notably, for its world-famous Calgary Stampede, a huge ten-day rodeo that bills itself as the Greatest Outdoor Show on Earth. 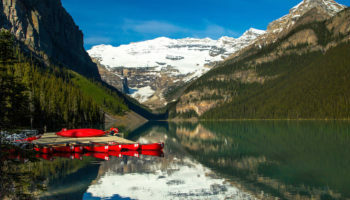 Calgary, which is Alberta’s biggest city, is also considered a gateway to the Rocky Mountains and is often the jumping-off start for adventures to two of Canada’s most famous parks, Banff and Jasper. While in Calgary, take time to visit the Heritage Park Historical Village, Canada’s largest living history museum where you can experience what life was like in the area between the 1860s and the 1950s. Another interesting site that is located approximately 90 minutes south of Calgary is the Head-Smashed-In Buffalo Jump, an archaeological site where Native Americans hunted buffalo by stampeding them over a cliff. 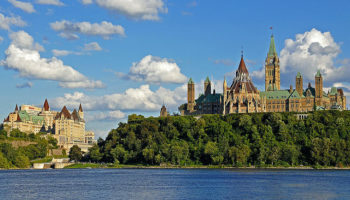 Ottawa, which is located in Ontario, is the capital of Canada and so — not surprisingly — it is blessed with numerous attractions, including the Parliament buildings and many world-class museums. One of Ottawa’s most popular spots is its Rideau Canal. 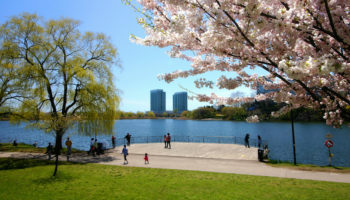 In the summer, the Rideau Canal is popular with boaters and in the winter, it becomes one of the largest outdoor skating rinks in the world. Outdoor activities, such as hiking and white water rafting on the Ottawa River, are very popular in this city. 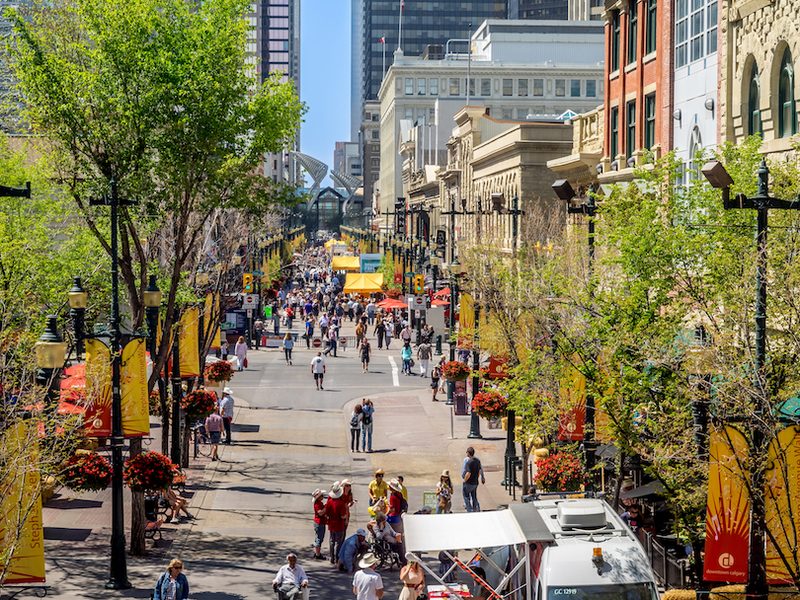 The capital of Alberta is located way up north, which means during the summer, it enjoys very long days of sunshine. Edmonton is also a bit of a quirky city. It is, for example, home to the world’s first UFO landing strip. 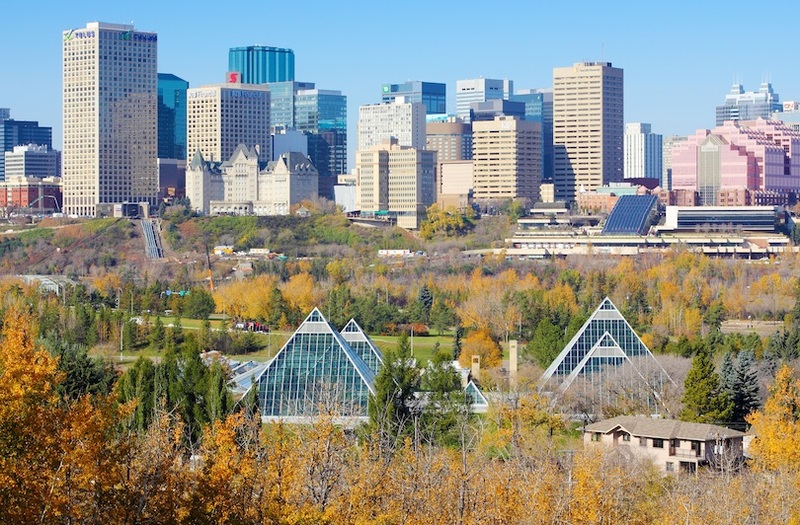 Edmonton is also home to more traditional sites, including Fort Edmonton Park, a living history museum that explores the history of the area from 1759 to the 1920s. And for wildlife lovers, there is Elk Island National Park, a refuge for bison and elk, that is located within easy driving distance from Edmonton. If you love the outdoors, Saskatoon has a lot to offer you, including several provincial parks and the Beaver Creek Conservation area, one of the few remaining short grass prairie sites left in the province. A favorite activity for visitors and residents, alike, is a riverboat ride down the South Saskatchewan River through the Meewasin Valley. Love art? Then check out the Mendel Art Gallery, which houses many significant works of art and is the 16th largest public art gallery in Canada. Saskatoon is also the home of the University of Saskatchewan and the largest city in the province of Saskatchewan. St. John’s has two big claims to fame. 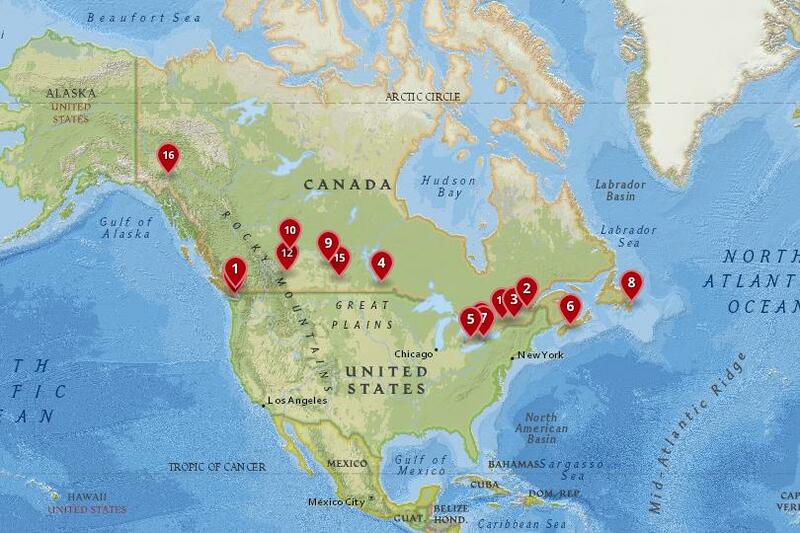 One, it is the oldest city in North America and, two, it is the most easterly point in North America. But St. John’s, which is located in Newfoundland and Labrador, is also one of the best places to visit in Canada for many other reasons. For example, the waters off of its coast are home to a large population of whales, including minke, humpbacks and blue whales. While in St. John’s, make sure to check out its charming Quidi Vidi neighborhood, which was once a historic fishing village. Niagara Falls, the city, is not just a great place to stay while visiting one of the most beautiful waterfalls in North America. It is also a fun place to visit. You’ll find numerous attractions for adults, including casinos and wineries, and plenty for kids to enjoy, including an indoor waterpark, the Guinness World Records Museum and several mini-golf courses. 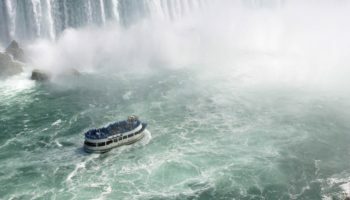 And, of course, there are the stunning falls, which you can see aboard a boat or fly over in a helicopter. If you’re searching for a city that understands fun, then you’ll want to visit Halifax, which is located in Nova Scotia. 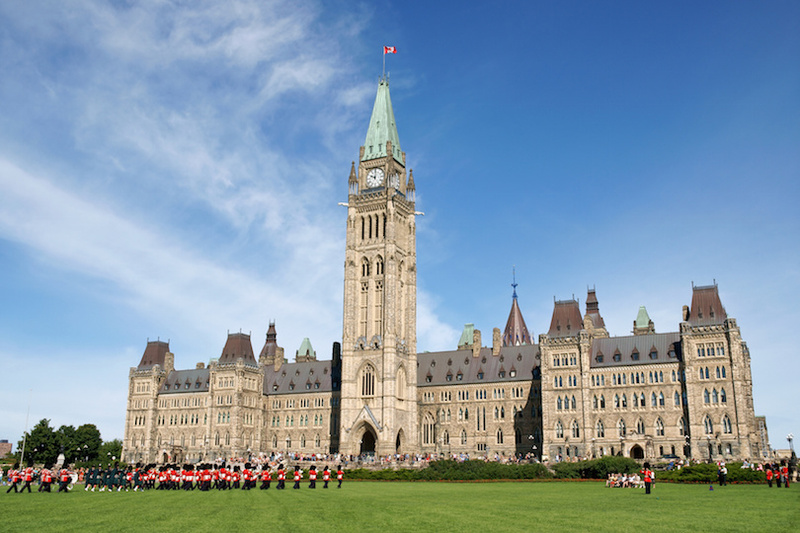 This city has more pubs and clubs per capital than just about any other city in Canada. But the city isn’t just about drinking. It is also home to several interesting attractions, including Fisherman’s Cove, a 200-year-old restored fishing village, and the Maritime Museum of the Atlantic. Halifax is also close to the Bay of Fundy, which is considered one of the seven natural wonders of North America and boasts the highest tides on earth. Just like its namesake in England, Ontario’s London is also located on the Thames River. One of the best ways to discover what London has to offer is by hopping aboard a double-decker that will take you on a two-hour tour of the city’s historical sites and museums. While in London, consider checking out the Fanshawe Pioneer Village. This is an open air museum that will show you what life was like in the area between the years 1820 and 1920, as well as the development of the City of London, which was founded in 1826. Winnipeg, which is the capital of Manitoba, is a very multicultural city, where more than 100 different languages are spoken. It is also the largest city in the province. Winnipeg also prides itself on its flourishing art scene and has even sometimes been referred to as the “cultural cradle of Canada.” It is home to the Royal Winnipeg Ballet and hosts many festivals, including Folklorama, which is a two-week celebration of different cultures. While in Winnipeg, make sure to head over to The Forks, which is a popular shopping and entertainment district in the city. Montreal, which is located in Quebec, is a Canadian city that has blended the old with the new and the French with the English. Its picturesque Old Montreal district boasts cobblestone streets and some buildings that date back to the 17th century. It is, in fact, one of the oldest urban neighborhoods in all of North America. But Montreal is more than just its past. It is also a city of skyscrapers, boasts a lively nightlife and an Underground City. 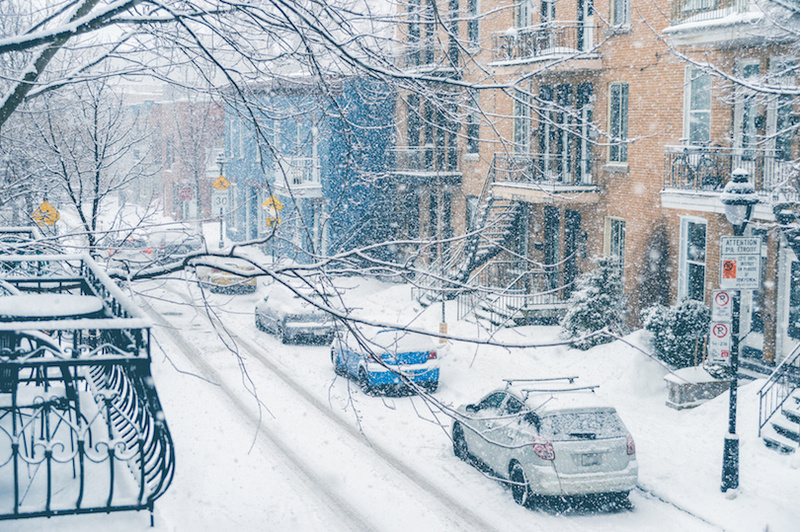 The latter is a series of office buildings, hotels, residential and commercial buildings that are all connected by underground tunnels, which can be very convenient during Montreal’s often bitter winters. This city, which dates back to 1608 and is the capital of the province of Quebec, is very picturesque and charming. 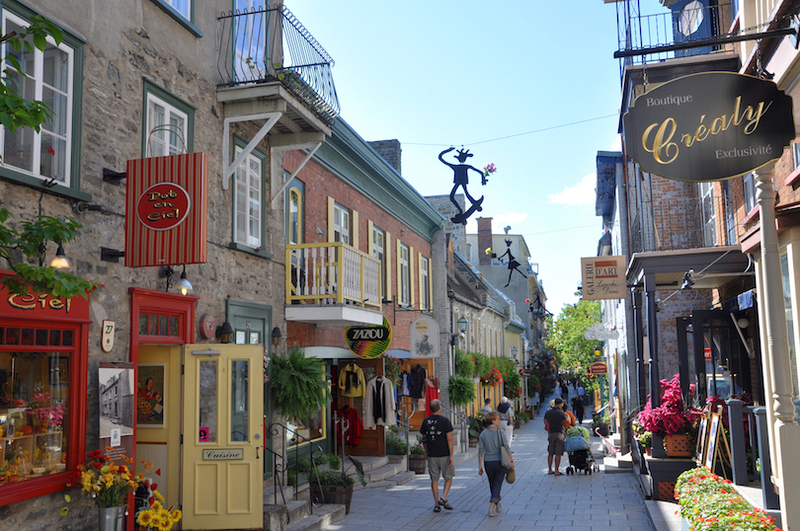 It also boasts a wonderful old town — Old Quebec — where you can walk cobblestone streets past well-preserved 17th- and 18th-century buildings. Old Quebec is the only walled city north of Mexico. Quebec City is also home to the Citadelle of Quebec, which is an active fort and museum. The Citadelle is also the largest British fortress ever built in North America. 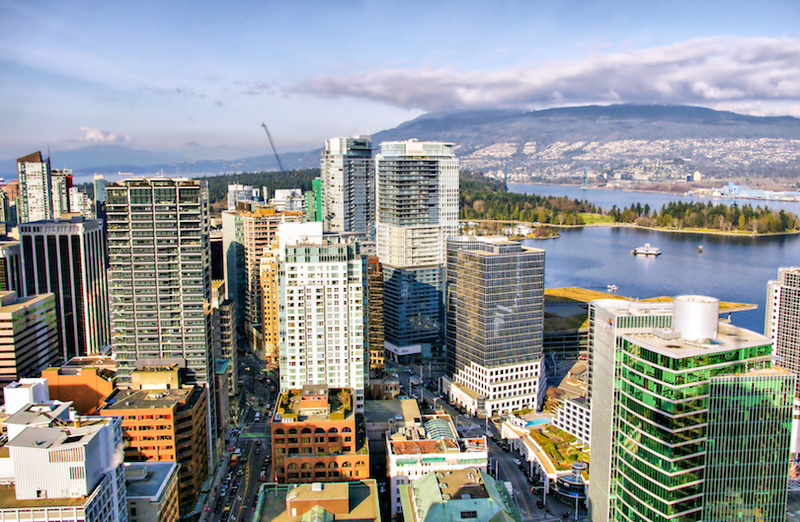 Vancouver, which is located in British Columbia, is one of the most culturally diverse cities in Canada. This mixing pot of cultures has helped make Vancouver into a culinary wonderland. In addition, this city’s microbrewery scene is also on the rise. Vancouver also boasts an excellent aquarium and several lovely parks, including Queen Elizabeth Park and Stanley Park. 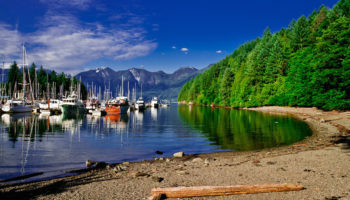 The New York Times once called this vibrant city “Manhattan with mountains.” While the description is lovely, it forgets that Vancouver is also a seaport blessed with eight public beaches on the ocean and one on a lake.